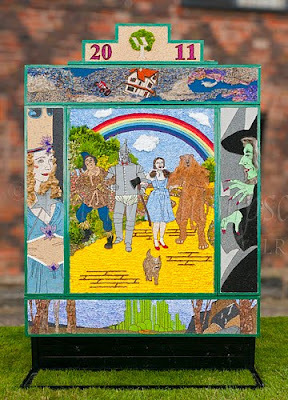 This is where a Derbyshire tradition is celebrated and this event raises money this year for the Derbyshire, Leicestershire & Rutland Air Ambulance (DLRAA) & Aston Playground Project. There were live bands, children's entertainment, a fancy dress competition and stalls. 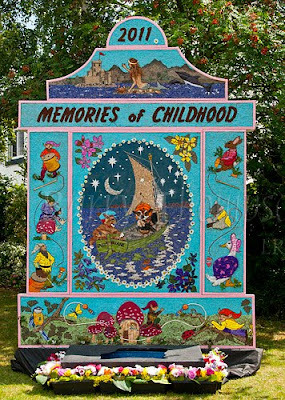 The main well dressing celebrating memories of childhood, the motifs depicting some of the characters from that time in our lives. 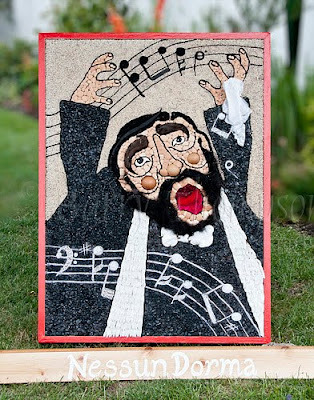 This well dressing created by the talented members of the Aston on Trent Women's Institute depicts characters from "The Wizard of Oz"
Luciano Pavarotti is depicted in this well dressing.